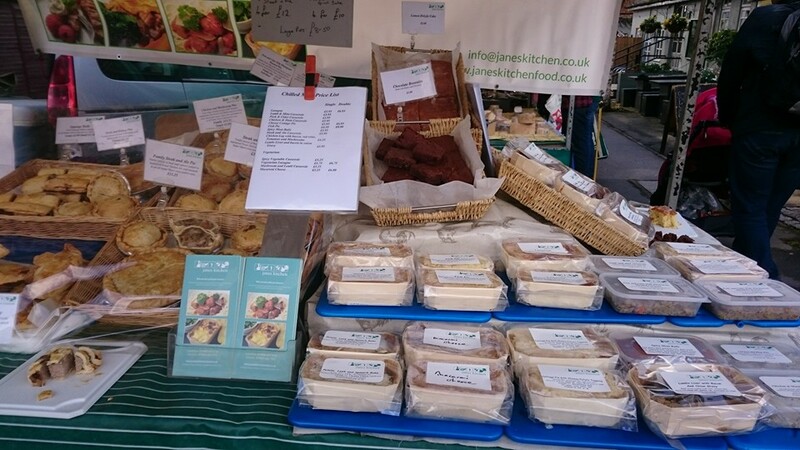 Jane’s Home Cooked Ready Meals at Farmers Markets in May You’ll find us selling our delicious home cooked ready meals at local food and farmers markets in Oxfordshire, all throughout May, why not visit us and sample some of our favourite dishes. So why not take it easy and let us cook for you, come…. Spring is on the way! Visit me at the Markets I am attending in April – and treat the family to some of our delicious ready home cooked meals to enjoy that evening. Check out some of our new recipes – not yet available on the website – you can only get them directly from…. Winter’s nearly over – I’ve seen the first Snowdrops! But we still need the odd warming pie or casserole So why not try some of our delicious frozen ready cooked meals as a special treat for the family, or you visit me at the Markets I will be attending in March – and buy direct…. Not long until Spring! But until you get to dust off the barbie, why not try some of our delicious home cooked meals delivered to your door as a special treat for the family, or you visit me at the Markets I will be attending in February – and buy direct to enjoy that evening….. Happy New Year- Winter is definitely here! Its time for a warming pie or casserole So why not try some of our delicious ready cooked chef prepared meals as a special treat for the family, or you visit me at the Markets I will be attending in October – and buy direct to enjoy that…. Winter’s definitely here – time for a warming pie or casserole! So why not try some of our delicious ready cooked chef prepared meals as a special treat for the family, or you visit me at the Markets I will be attending in December – and buy direct to enjoy that evening! Or stock up…. Autumn’s here – time for a warming pie or casserole! So why not try some of our delicious ready cooked chef prepared meals as a special treat for the family, or you visit me at the Markets I will be attending in October – and buy direct to enjoy that evening! Check out some of…. You’ll find us selling our delicious home cooked ready meals at local food and farmers markets in Oxfordshire and Berkshire, all throughout September , why not visit us and sample some of our favourite dishes. Quite often we’ll have some new home cooked recipes to try that aren’t yet on the website! Why not check…. You’ll find us selling our delicious home cooked ready meals at local food and farmers markets in Oxfordshire and Berkshire, all throughout August, why not visit us and sample some of our favourite dishes. Watching the Olympics? Why not stock up with some of our delicious meals so you don’t miss any of the action!….